Today I am here with a DIY project with a tutorial. So, what do you do with all your scraps of patterned papers? I always try and utilize them for something good, useful and pretty. This time I have used Splashing Colours by Nakshathra designz. 1. 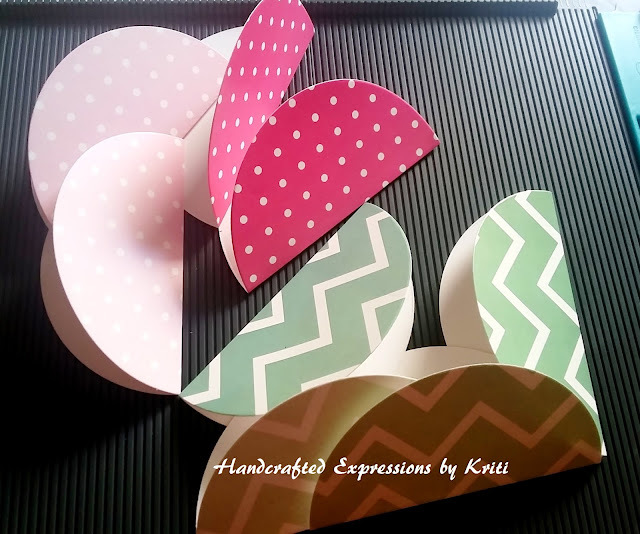 Cut a few 4” circles from the patterned papers. You will need four circles per envelope. 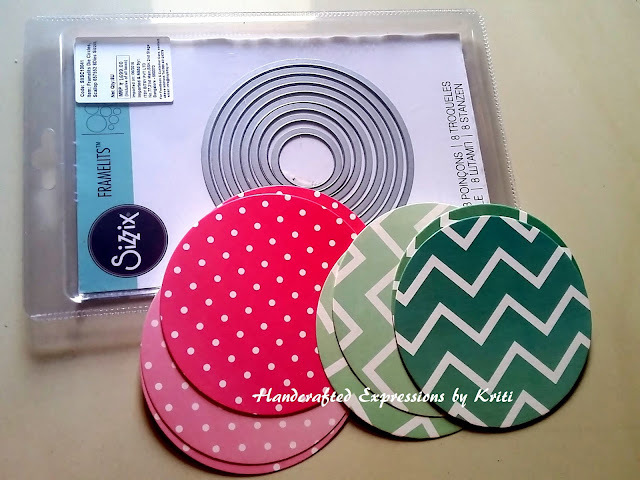 I have used circle die to cut the circles. 2. 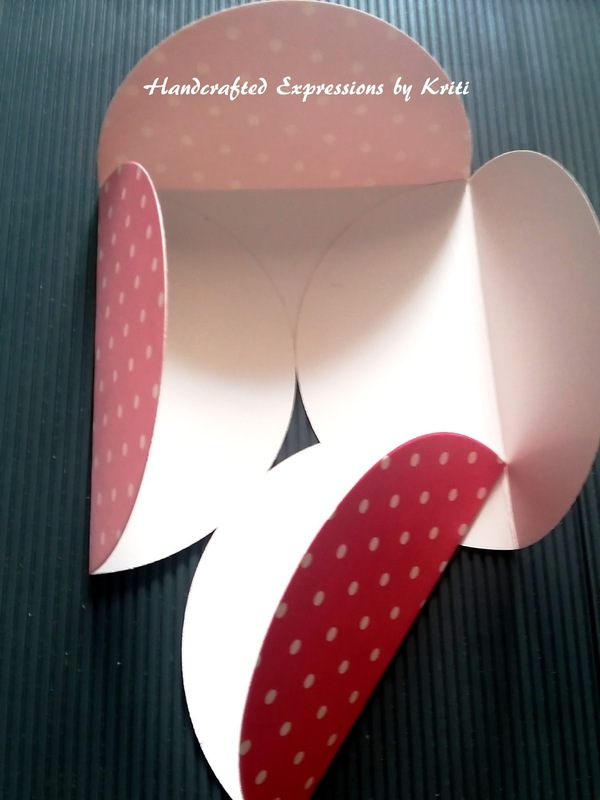 Fold the circles in half using your bone folder. 3. Adhere the circles together. Position the first circle with the straight edge on the left. Place another circle at the top and make sure the edges are straight, then adhere then together on the inside. Repeat with all four circles. 4. Make sure that you only apply adhesive to the area that will not be visible. Once adhered together your envelope will look something like this. 5. Wrap a piece of pattern paper around the envelope. Adhere it with glue to hold it in place. Voila its ready!! Have a final look. 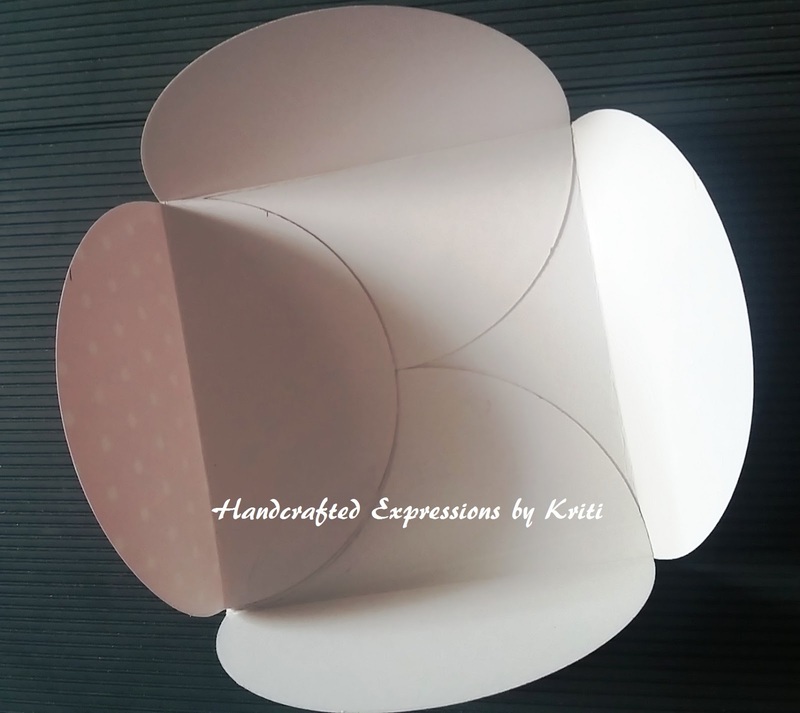 They are so quick and easy to make and can be used as small envelopes, thank you cards, birthday invitations and more. I hope you like this project. 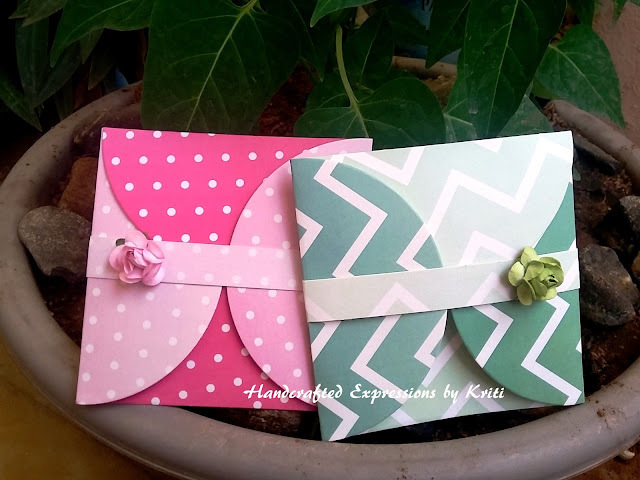 Beautiful envelopes Kriti :) Definitely an awesome way to use scraps!